love it..keep us posted on your progress which I am sure is just around the corner! 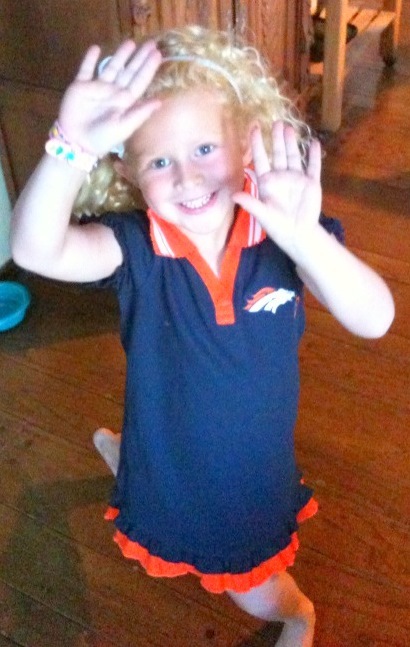 Love Lilly's dress..so glad she declared early so she can join her family members as Bronco fans! Happy Labor Day and then fall schedules "button down" which is a good thing!